Marketing automation tool can help you generate a high volume of leads. The challenge is to filter out the bad ones and fill your pipeline with leads that matter. That’s where lead management comes in; more specifically lead scoring. With lead scoring, you can distinguish quality leads, nurture them, and understand when they are genuinely ready to interact with your sales representative. Putting it in another way, lead scoring is not only for your marketing team. It is equally responsible to trigger better sales and higher conversions. Lead scoring is a methodology where you assign scores based on your lead behaviour, demographics, organization, and various other factors. It is not just about assigning any score. Rather, you assign value points to actions that matter. It also varies according to the type of leads. Let’s assume you have two leads – one is the VP of marketing of a fortune-500 company, and the other is an intern in the same company. In this case, your target will most obviously be the VP of marketing because this person has the decision-making power to a great extent than the intern. 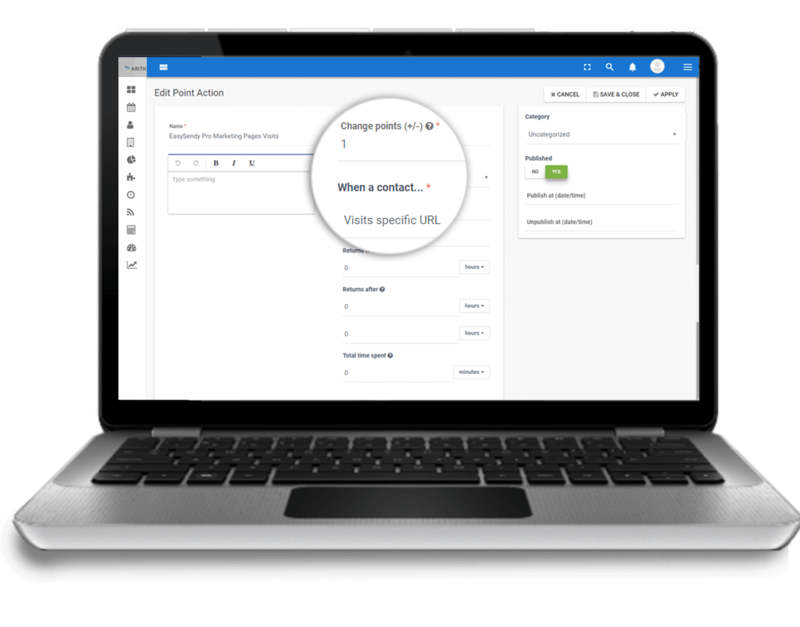 If the VP visits your pricing page, downloads resources, and fills up a lead magnet form, you assign higher values to each action as compared to what you’d assign to the intern if it did the same actions. The whole point here is: It is about assigning higher values to actions that indicate the movement of leads down the marketing-sales funnel. Again, it depends on the type of leads that are taking the action. For instance, you have two leads – one has downloaded a resource, filled up a lead magnet form, visited your product pages few times, and has asked you questions related to your product via chat. The other lead has signed up for your webinar, skimmed through one of your recent blog posts, and just browsed through your homepage once. In both the cases, the leads have spent time on your product, but the former lead’s actions are of much higher fit and value. When this lead is contacted by your sales representative, you can expect a genuine response and conversion as well (ofcourse if your sales team is handling the leads properly!). Is Sales-Marketing Alignment Essential for Lead Scoring to Work? Yes. It is very important that your sales and marketing team collaborate and communicate. 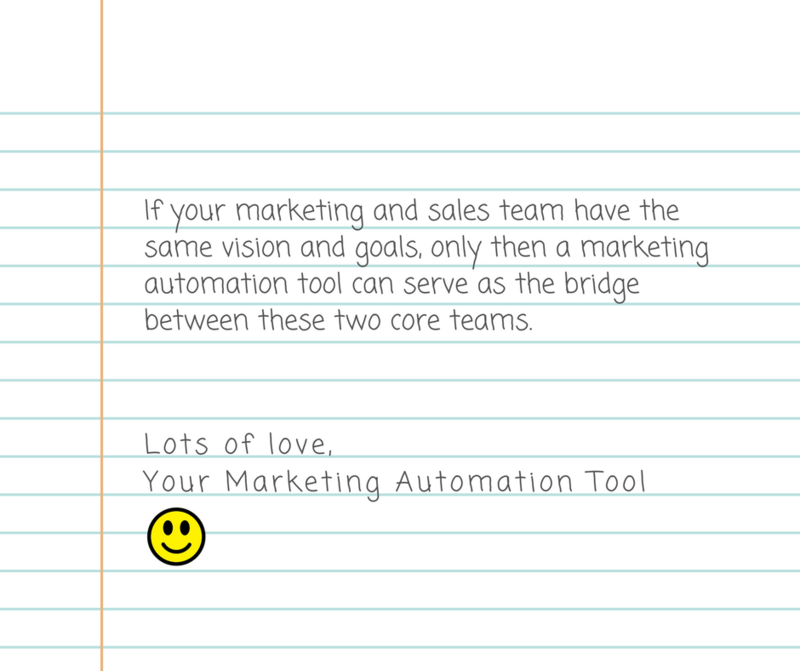 Previously I had written on the importance of marketing-sales alignment before implementing a marketing automation tool. But honestly, it is not just before but ALWAYS. Did you know about 43% marketers forget to ask sales team to weigh in on the importance of each lead qualification criteria before assigning lead score? And that’s a sad reality. Let’s take the last example of two leads visiting different web pages related to your product. We deduced that the first lead has better chances of getting converted. Now the sales representative takes lead. But you notice that the lead does not get converted or is nowhere close to getting converted. Rather you see the lead making an exit from your pipeline. Yep, the worst nightmare becomes true. You immediately consider your salesperson to be at fault. But you need to be neutral to understand the entire fiasco. When you look at the picture from the sales person’s point of view, you realize that your marketing and sales team are harbouring two different propositions for the same product. Whatever your marketing person said or did to make the lead sales-ready is not similar to what your salesperson ended up offering. As a result, you now have both the teams blaming each other for the loss of lead. You know this wouldn’t have happened if both the teams had their objectives, views, and goals aligned. While sales team knows the exact requirements of the ideal customer, the marketing team has all the resources to generate, nurture and make those ideal prospects sales-ready. It seldom happens that leads who are sales-ready opt to purchase immediately after conversing with the sales rep. Often the sales team requires sales-driven campaigns to close the leads, which means the marketing team comes within the loop again. So you see, alone lead scoring or an entire marketing automation tool cannot help unless both your core teams are mutually agreeing on their strategies and goals. Lead Scoring: Where to Start and How? There are two types of lead scoring: implicit scoring and explicit scoring. Implicit Scoring: This refers to understanding the prospect’s interest in your product by analyzing its behaviour, and also looking at the data points about this prospect to know how fit it is for your product. 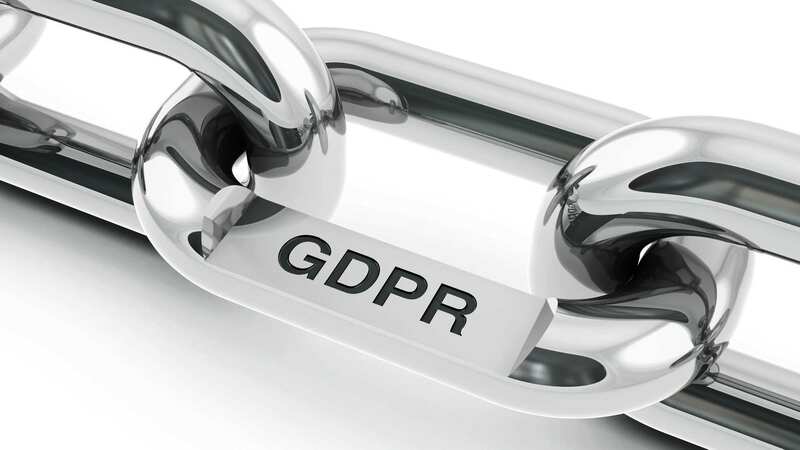 For instance, assigning a score for completing a lead magnet form or based on the total years of professional experience in a particular field. Explicit Scoring: It involves the prospect more directly. Here the prospect directly shares information with you through which you are able to gauge their interest in your product. This type of scoring also takes into account the demographics or firmographic of the prospect to analyze if the prospect is fit for your product or not. If you are looking at an effective lead scoring model, then I’d say a good lead scoring strategy will include both these types of lead scoring methodologies. While it is important to track behaviour of prospects, it is also important to consider any direct interaction, demographics, and other basic information about the prospect while assigning scores. How Does an Ideal Lead Scoring Model Look? Apart from these, there is one more vital thing that has no To-Do’s to go with: Your instinct and common sense. Many-a-times, you need to put down that rule-book and think logically. It isn’t necessary that every lead that does a set of activities will turn out to be highly interested. Human psychology is not bound by these rules. While we do work and lay down practices that are mostly general, there can be exceptions. At times your intuition, instincts, and logical point of view can be more precise than the laid down ‘best practices’. Everything looks in place now. But Will it Help my Sales Team as well? Yep. That’s exactly where we are heading. 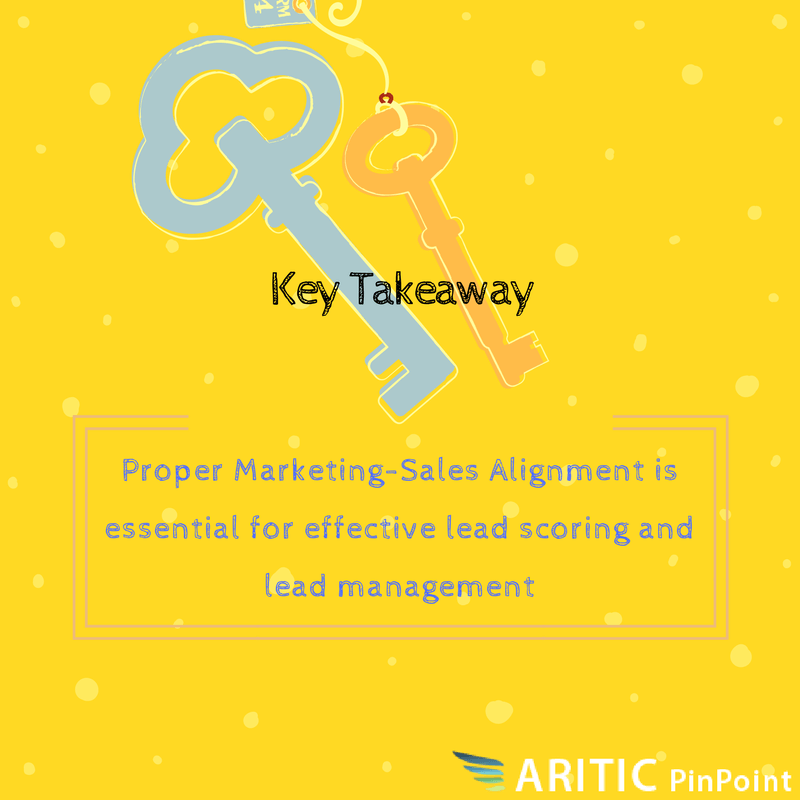 Right from the beginning, I have mentioned a couple of times that marketing-sales alignment is essential for lead scoring to work. In the same vein, it is evident that lead scoring is not just an automation feature for marketers. It equally enables sales reps to convert a prospect better. Below are 6 instant scenarios where lead scoring is essential for sales. This is no different from the marketing-sales alignment I was talking about for so long. This means both the teams will work together in analyzing the lead actions, assigning scores, understanding how fit the lead is for the product, and when they are ready for a direct conversation. If you have read my previous article on marketing-sales alignment, you must have noticed how the marketing team can create an alias for the sales rep that goes a long way in propelling the conversion rates. It is an effective way to understand the customer path, which in turn lets you understand when your leads are ready to buy. But it’s not that easy. 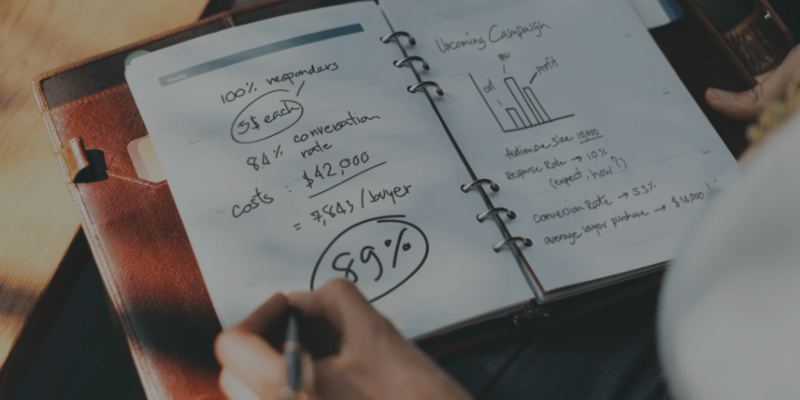 If a prospect is spending considerable time on your pricing page and reading up manuals on installing your product, that’s a high priority sign. Sadly, not all prospects will give such a tell-tale sign. Assigning scores is great but often sales rep gets mislead with the score readings as well. It is, thus, important that sales and marketing sit together to analyze the customer path and accordingly assign scores. Here’s how sales rep can help. Sales team can help with additional information about the prospects based on their earlier interactions or knowledge about what exactly did a prospect do right before closing. It helps in building an effective lead scoring model. Sales reports are a great way to know what tactics worked for your business and how. If you are using Aritic PinPoint setup correctly, you should be tracking every move of your leads at every step. Also, a sales team can offer post-sales data like customer onboarding survey details, factors that contributed B2B sales, and so on. You’d be surprised at the amount of data these salespeople have! Let’s take a simple scenario here. Suppose you have two leads spending considerable time on your blog. One lead is reading up materials related to installing your software, new updates, partnership news, and blogs directly related to using or getting started with your product. Let’s call this lead as A. The other lead is reading up articles pertaining to your industry updates, how well you fit in it, and other related blogs. We will call this lead as B. If I assume that you have assigned scores for each activity (including negative scores when they were inactive), lead A still remains ahead. It has all the signs that indicate that this lead wants to make a purchase and get going with your product. At this juncture when the sales rep connects with this lead, the conversion process automatically speeds up. Your sales rep knows exactly what to say next; which brings us to the next point. Sales team often complain that they missed leads because marketing team was not fast enough to inform them; and vice-versa. Enter marketing automation and lead management practices. You’ve already experienced how great it is to never miss a lead with Aritic PinPoint set up properly. Lead Scoring pulls together marketing and sales, giving them ample scope to interact, decide, and implement practices that will speed up the conversion rates. Lead scoring automatically highlights those leads with the highest score, making it easy to pinpoint those leads that need immediate actions. Once upon a time, there was ‘cold calling’ that made sales team crib under their tables because of the unwanted responses they heard. Fast-forward few years, lead management has helped in identifying leads that are keen on making a purchase. Again, this section has two segments: Warm Leads and Hot Leads. How do I know which score is “warm” and which one is “hot”? It is not like you take any random number and decide the status of your leads. Before implementing lead scoring practices, you need to create a threshold for your business. – Set up minimum criteria for every lead to pass in order to become a customer. This is inflexible in all situations. – Identify the qualities that your target market mostly possess. These are the common characteristics your prospects must have (although not so strictly mandatory as the above point). – Narrow down the characteristics to define your “perfect lead characteristics”. – List down the possible behaviour that your ideal prospects might show. Social Media: 15; and so on. With time and experience, you will yourself see how your scoring system changes. 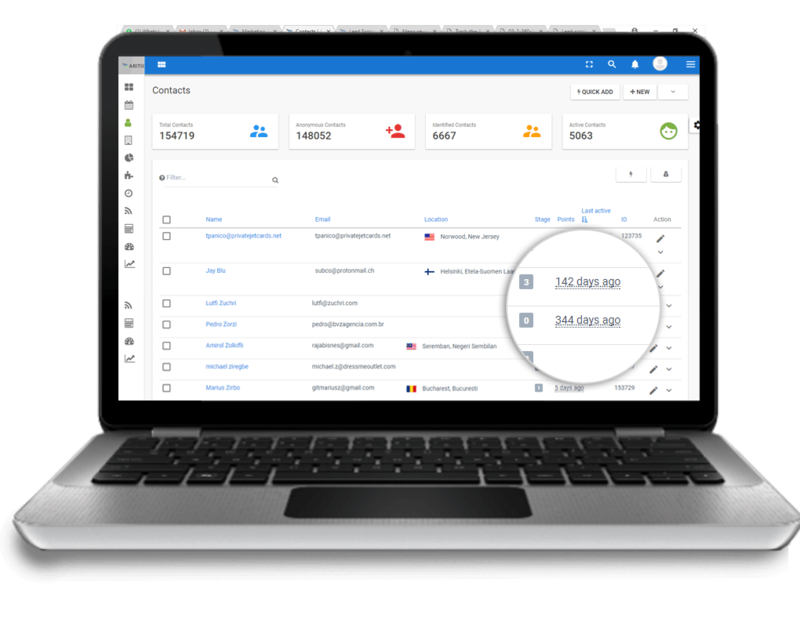 Coming back to where we started, lead scoring automatically identifies the leads that are highly interested and ready to make a purchase. So, salespeople need not call everyone that exhibits some sort of engagement. Rather, she/he will connect with the readiest lead, while the “warm” leads are nurtured more (now with more sales-driven campaigns), like to launch a time-limited incentive campaign. Now we have already discussed how ‘hot leads’ can be targeted. Let’s say you have triggered a campaign for your hot leads when the lead score clocked to 10. This means a score of 10 in your system indicated leads are ready for a final tweak. Suddenly the lead score for two leads in your pipeline drops to 9 or 8. Automatically, these two leads become “warm” again. We’ve already discussed that salespeople will target the ‘hot leads’ only. Let’s assume you do nothing but continue with your usual campaigns for all your leads. Before I tell you what will happen if you take no actions, let’s consider another scenario. 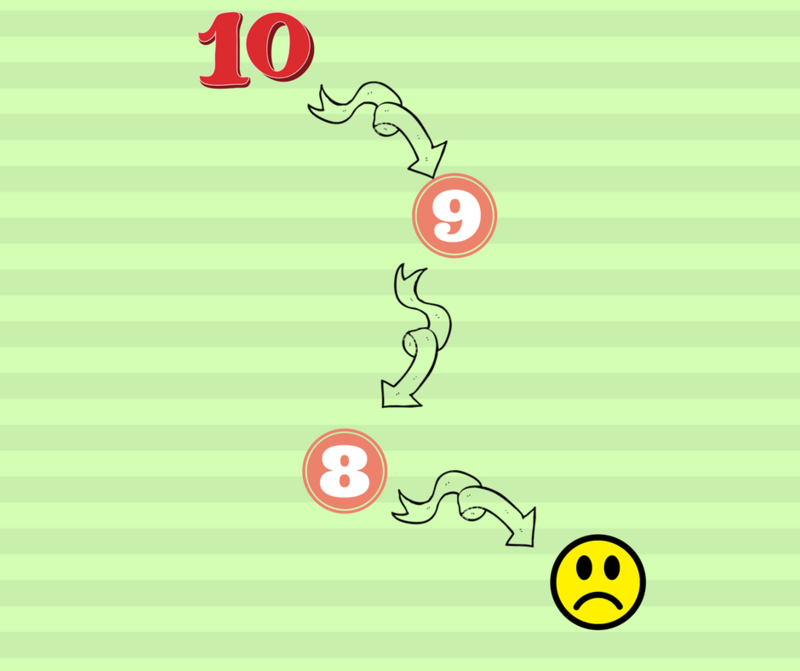 When your lead scores drop from 10 by one or two points, you automatically trigger another campaign specifically for those leads whose scores have dropped from 10 to 9 and 8. You pull out all your stops and try to get the lead’s attention by re-engaging them. If you are doing this, you can save your leads from getting ‘cold’. And if you are not doing this, well you know the opposite of ‘hot’! This was all about implementing lead scoring methodology, engaging prospects and helping sales team close leads effectively. But all marketers are doing one thing rigorously: testing. Continuous testing opens up scopes to improve. The more you try and test, the better you understand the customer path and scoring algorithms. 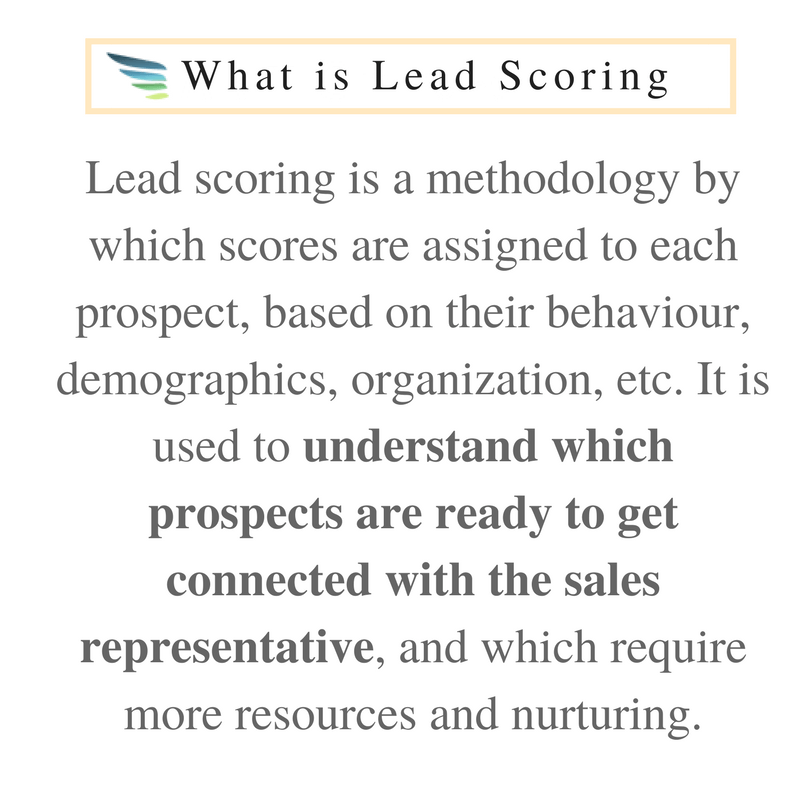 Lead scoring helps to evaluate the leads which are ready to accept the proposal. It is an excellent element of marketing automation. Thanks a lot for updating the article. It is nicely written. Lead scoring plays a significant role in marketing automation. Thanks a lot for updating the blog which is an essential update for the newbies like me. Lead Scoring has a significant contribution to sales conversion. Hence I found it very interesting to read about it. Lead scoring practices make a strong point in the field of marketing automation. It offers a robust platform to understand the right engagement prospects with the brand. While practising marketing automation, lead scoring plays a vital role. Hence thanks a lot for updating the blog. Lead scoring practices have always been a strong point in good marketing automation, as it offers a strong platform to understand the right engagement prospects with the brand. Nicely written. Lead scoring helps evaluate the potential of a lead. This allows one’s business to flourish as the sales team can pay attention to leads which have great potential. Time, efforts and revenue are saved. Lead scoring makes it easier for the sales team to reach the right lead at the right time. It enables the marketing team to understand which leads should be sent to the Sales team and which ones need further nurturing from the Marketing’s end.